Drinking alcohol comes with a certain amount of risk—especially when you’re in Las Vegas, a city where anything can happen. You need to be extra careful. 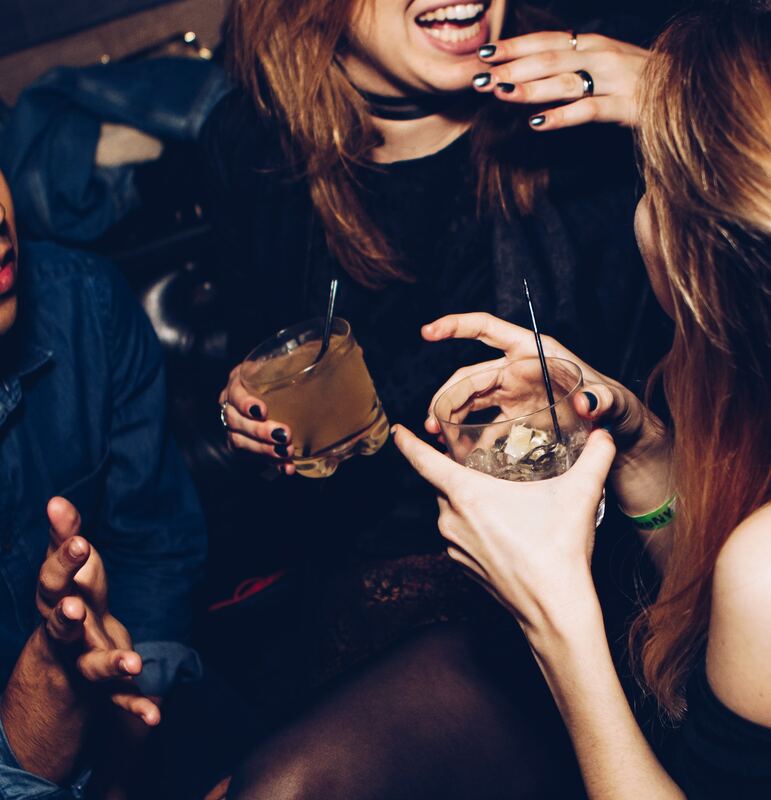 While drinking alcohol on the Strip or Downtown Las Vegas is on almost everybody’s to-do at some point in their lives, before you go, take the necessary precautions. Hasn’t anyone told you that drinking responsibly in Las Vegas is the best way to drink? When we talk about drinking responsibly in Las Vegas, an image of the Strip probably came to mind, right? That’s where most people go when they visit Vegas to blow off some steam. What many people don’t realize is that the Strip provides a lot of troublesome scenarios you can easily fall into. You ever hear of tourists waking up in bathtubs full of ice? Yup, they were prowling the Strip, probably on their own, knocking them back without a care in the world. What they likely didn’t do is STAY on the Strip. The Strip is a crowded nightmare full of thousands of people at any given time. The only time this presents a danger is if a stranger tempts you away from the safety of numbers. It’s safe to say that it’s easy to stay safe on the Strip. Just apply the same logic you would anywhere: don’t talk to strangers and avoid dark alleys. Casinos are smokey arcades for grown-ups. Generally speaking, this is the safest place you’ll be while partying it up in Las Vegas…that is, if you don’t act stupid. If you’re drinking in a casino bar or trying your luck at one of the tables, it’s pretty easy to stay within the realms of safety. In fact, you’d really have to try go out of your way to stir up trouble for yourself (aside from losing all your money). Don’t cause any problems, or act out in any way that would get you kicked out into the street. Going back to the money topic: make sure that you’re not waving around your money. Unfortunately, not everyone wandering the casinos will be good natured. The best part of Las Vegas is the downtown area, where you will find the best people, best Las Vegas bars, and the best happy hour specials, can also be a little bit dangerous if you’re not careful. For the most part, it’s much like the Strip where there are plenty of people around you (without being crowded), so not much could happen in front of them. Stay safe by doing things you would in any other city: stay off the road, stay out of dark alleys, and have someone with you at all times. No matter where you are, pay attention—to your bar hopping buddy, your drink, and your surroundings. Most important of all, please drink responsibly. Don’t overdo it and know your limits. Just because you’re playing it safe and drinking responsibly in Las Vegas doesn’t mean you’re not having fun. In fact, staying safe is the only surefire way you can continue having fun—don’t cut that short. Visit Vegas Pub Crawler and see for yourself what fun and safe is.